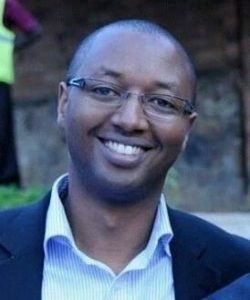 Dr. Evrard Nahimana is a medical doctor from Rwanda with over 9 years of healthcare delivery and operational research experience. He is currently working with Partners In Health/Inshuti as Deputy Chief Medical Officer in charge of primary care. He also served as District Clinical Director for PIH/IMB for Kirehe district, then Director of Women Health program before moving to Harvard medical School for his master’s degree in Medical Sciences and Global Health delivery. Dr. Evrard Nahimana has been involved in various research projects as principal investigator with the aim of improving health system in developing countries or marginalized communities. These include Race To The Top(RTT), a performance base quality improvement project in Rwanda and All Babies Count (ABC) a comprehensive district wide quality improvement initiative to reduce neonatal mortality. Currently Dr. Nahimana is working as the principal investigator with two partner organizations, the Lawrence Berkeley National Laboratory’s Institute for Transformative Technologies (LIGTT) and Boston Children’s Hospital(BCH), to develop a product to address the challenge of adequate thermoregulation for infants who require warming in settings with unstable electricity, particularly those infants who are too unstable for, or unable to receive Kangaroo Mother Care. This collaboration led to the development of an easy-to-use, low-cost, re-useable, and non-electric infant warmer, with promising implications for neonatal care in low-resource settings around the world which is currently being tested in two district hospitals in Rwanda.